Air ducts are taken for granted. They serve a purpose, and you probably forget that they’re there most of the time. When something starts to go wrong, you may not even blame the air ducts right away - because you simply don’t consider them. Some air-related problems in the home are due to these issues and may require professional attention. It’s often gradual - and as a result, you may not notice it immediately. But if you do start to notice that your vents are not letting as much air through as they used to, or that the air is either too hot or too cold, this could be a serious problem. 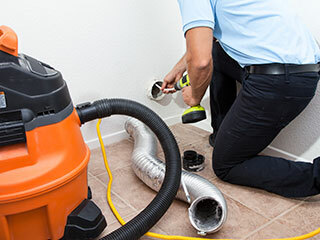 Let our professionals inspect your air ducts, and do the cleaning and repairs. Some unpleasant smells around the house may appear due to problems with your air ducts. Of course, there may be a myriad of other reasons why smells are present in your home, but don’t ignore the possibility that the air ducts could be at fault. If the smells seem to stem from around the vents, we can have a look at the problem, and identify whether action needs to be taken. When the air quality in your house drops, your health or productivity may be affected. As with smells, other reasons may be behind poor air quality, but it is possible that your air ducts are the issue - after all, they are one of the main contributors to the air in your home. If it’s been a long time since the ducts and vents were last cleaned, it’s worth having it checked. Our professionals can quickly and efficiently identify whether air duct cleaning will solve the problem, and also ensure that appropriate action is taken. You may be able to do superficial cleaning of your air ducts and vents yourself - but for in-depth problem identification and solving, our professionals are here for you. We provide excellent cleaning, repair and replacement services in La Mesa.